One of the main issues facing young people in work is the minimum wage. Many 18-20 year olds are paid less than €8.65 per hour. This is perfectly legal but does leave a sour taste in the mouths of young workers. Many are on either €6.92 or €7.79 per hour. This is due to legislation that states that in your first year of working after turning 18 the minimum wage, for you, is €6.92. In your second year, it increases to €7.79. Only in your third year of work do you qualify for the adult minimum wage. With no legal course of action to exercise their woes students may feel helpless and commit themselves to 2 years with a penny-saving employer. There is, however, another option which gives young labourers a powerful, and anonymous, voice. 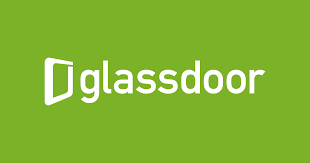 Glassdoor, an online platform which aspires to be the “TripAdvisor for the workplace”, has launched a dedicated Irish site. The site allows employees to post anonymous reviews of their companies. These reviews can cover a wealth of topics; from wage details to managerial competency. Through Glassdoor there is a means for the young labour force to set a standard of treatment. By posting anonymous reviews of their workplaces they can warn other young workers away from their unjust work environment. Through this increased job transparency workers will know not to simply walk into a job because it’s a job. They will know the equal level of treatment they should experience in the workplace. The main weapon Glassdoor provides is public opinion. It’s known that details published on Glassdoor can lead to some very negative press; something which many companies will want to avoid. The transparency brought by Glassdoor to the UK job market has already highlighted pay discrepancies between male and female workers. In an article written for the telegraph Louisa Symington-Mills revealed how she found out her male colleagues were being paid more than her for the same role. This debacle led to huge promotion of the campaign for equal pay and also to damning negative press and threatened legal action for the company. One can only hope that such discrepancies are brought to light and rectified in the Irish job market too.